Every beverage has its place. Before a high-end dinner, you may want to enjoy an elegant Cosmopolitan in a sugar-rimmed glass while you nibble appetizers. But with Friday night’s pizza, you may just want a glass of red to-go. Calories vary for different wines and different vodka cocktails. Go with the specific numbers, but also consider what you’re in the mood for. Are you looking to indulge yourself with friends, or do you need a slight boost to your mental state that adds only a few extra calories? A 1 1/2 ounce glass of straight vodka contains 96 calories. If your cocktail contains a more generous 2-ounce pour, the count goes up to 128 calories. 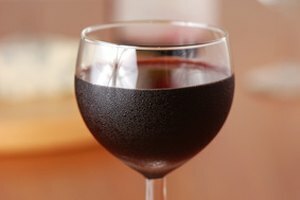 Red and white wine both clock in at about 125 calories for 5 ounces, which is one serving. Note, however, that these calculations count only if you plan to drink your vodka as the Russians and Poles drink theirs, slowly sipping it chilled from the freezer – and only if you’ve chosen an average alcohol-content wine. If you’re serious about cutting calories, an 8-ounce vodka and soda with a squeeze of lime or a cranberry Cosmopolitan sets you back only about 100 calories each, less than a glass of wine. For a refreshing Seabreeze ‒ made with low-calorie grapefruit juice instead of high-calorie cranberry juice ‒ you’re looking at 180 calories. 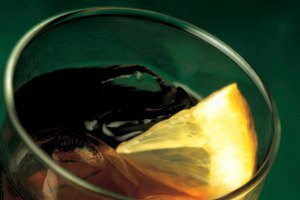 And if you want to lose weight, avoid the Long Island Tea and its assortment of vodka and other liquors, which can run as high as 424 calories, depending on where you’re drinking it. There’s a lot to learn when calculating calories in wines. Those with higher Alcohol by Volume percentages, or ABVs, such as chardonnays, have more calories than those with low ABVs, such as pinot grigios. 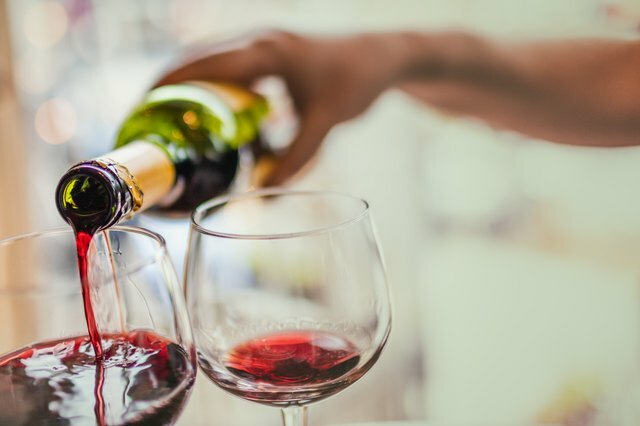 European wines are, by and large, less caloric than those from Chile or Argentina, because wines from the warmer Southern hemisphere regions naturally contain more sugar than those from Europe. And white wines typically have lower ABVs and, therefore, fewer calories than reds. Port, sherry and sauterne range from 189 to 275 calories in a scant 3-ounce portion, depending on their ABV. 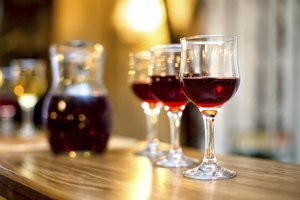 Check the labels of these sweet dessert wines to compare their alcohol content, and plan for a larger serving than 3 ounces if you’re at some restaurants. But even those wines with large calorie counts don’t contain the saturated fat that you get with a brownie, at 420 calories, or a piece of apple pie, at 320 calories – not to mention the increase in calories when you order your pie a la mode. Susan Lundman began writing about her love of cooking, ingredient choices, menu planning and healthy eating after working for 20 years on children's issues at a nonprofit organization. She has written about food online professionally for ten years on numerous websites, and has provided family and friends with homemade recipes and stories about culinary adventures. Lundman received her M.A. from Stanford University. 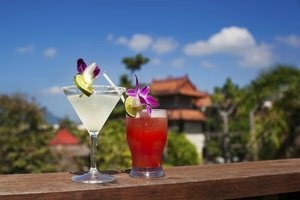 What Alcoholic Drink Is the Least Fattening? How Many Shots Are in a Bottle of Liquor?